Shoppers are deliberately seeking out deals whereby retailers sell off stock that is about to hit its sell-by date. 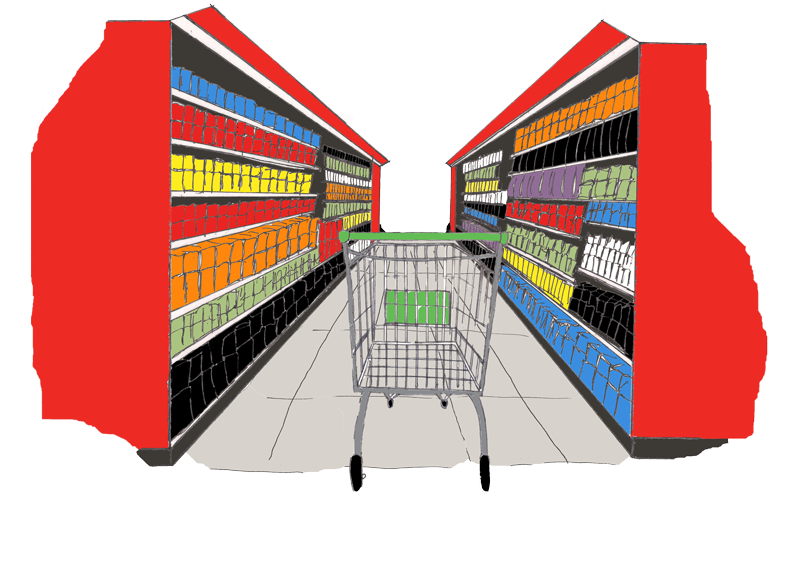 It is being called savvy shopping, because it is a way of making real savings on the weekly shop. The 7th annual Kantar Worldpanel Client Day took place on Thursday the 17th of September in the Hogan Suite of Croke Park, just days before Dublin won the All-Ireland final. Kantar, however, weren’t talking about being successful in Gaelic games, they were more interested in advising their clients how best to maximise their sales by using critical junctures and adapting to an ever-changing consumer mind set. Speaking at the launch of the OECD's economic survey on Ireland, Mr Noonan said Ireland had fully embraced new European rules on budgetary planning. The survey said Ireland is experiencing a strong recovery but needs to take measures to guard against future shocks. As new systems and digital capability continue to evolve the way retailers run their businesses, Essential Retail is gauging the views of the sector's main figureheads, via a series of exclusive interviews. This week, ahead of the Buying & Merchandising Summit on 22 September, it's the turn of IBM UK & Ireland's head of retail, Danny Bagge. Does online shopping mean the death of the car salesman? The car salesman has gone through a number of metamorphoses, some unfortunate, since Karl Benz first realised that there wasn’t much point in designing a Patent Wagen unless you had someone to convert it into a profit margin. The dealer has frequently had a bit of a tough time of it, being generally derided as a spiv, a chancer, an Arthur Daley and more recently as a young whelp out for a commission. A new €1m marketing campaign was launched today (September 17) to boost potato consumption among Irish consumers, by the Minister for Agriculture, Simon Coveney. Due to ongoing Luas works at St. Stephen’s Green, the market, which was established by DublinTown last year, will likely take place on North Earl Street, at the side of the old Clery’s building, and possibly furhter if an agreement can be reached with Dublin City Council. Leading retail brands appear keen to make their presence felt at this year’s Ploughing Championships, which kicked off today. Tesco once again returns to the Championships held in Ratheniska, Co. Laois until Thursday, 24 September. Visitors to the Tesco tent will be treated to cookery demonstrations, where renowned chef Eugene McSweeney will serve up dishes with a focus on fresh, local ingredients. A report by Customer Experience Insights (CEXi.org) has claimed that Aldi provides the 'best' customer experience (CX) out of all supermarket groups in Ireland. The leading CX brand in the country was awarded to Credit Union with Aldi finishing in fourth place in the overall rankings. The Cork based Musgrave Group, which is behind the SuperValu and Centra franchises, has expanded into offering Car and Home insurance policies. This follows on from the launch of Travel insurance in November 2014. The British baking giant is set to open its first outlet in the Republic in the coming months - here's everything you need to know. Mammoth UK bakery chain Greggs is on its way to Ireland. Greggs plans to trial its first outlet in the Republic after the success of its first outlet on Irish shores which opened in Belfast earlier this year. Struggling retailer Tesco is seeking to recoup tens of millions of euros, from the sale of 25 development sites it had amassed for new stores or expansion, in 16 counties around Ireland. The sites sell-off by Tesco, who at the start of 2015 announced a drive to cut overheads by 30%, and which included some redundancies, includes two Dublin properties, and five in Cork. Lidl has said it has no plans to introduce the living wage in Ireland, as it has done in England, Scotland and Wales, and said it has no further comment to make on the matter. More than 9,000 staff at the supermarket chain in England, Scotland and Wales are to receive a pay rise worth £1,200 a year after the discounter said it was hiking its minimum wages there. Retail rents in the capital will rise by 9.3pc by the end of 2016, a trend that is likely to reignite the row over so-called 'upward only' rent reviews that flared up ahead of the last election. A forthcoming report by property experts Savills highlights the effect that rapid population growth in Dublin is having on the retail economy and, in turn, retail rents.